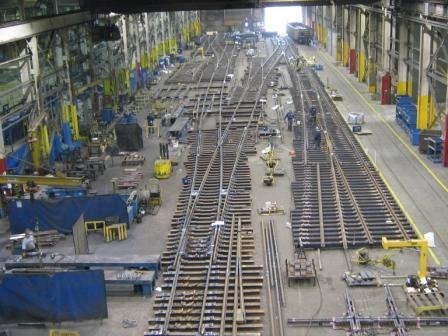 voestalpine Nortrak, with ten production facilities across Canada, US and Mexico, is North America’s leading designer and manufacturer of special trackwork for the railway industry. As the industry’s technology leader, we take pride in providing superior products, excellent customer service and unbeatable engineering design services to our customers. We are committed to bringing innovative solutions, products and services to our customers across the freight, transit, industrial and high speed segments. voestalpine Nortrak (“Nortrak”) is a subsidiary of voestalpine AG (www.voestalpine.com), a leading technology and capital goods group with combined material and processing expertise. Nortrak is closely affiliated with voestalpine’s Railway Systems group which operates 50 production and sales facilities in 23 countries and is the global market leader for intelligent railway infrastructure system solutions.